This entry was posted in News and tagged New, News, Non-Travel, RV Solar, Solar Power Related by Roads Less Traveled. Bookmark the permalink. 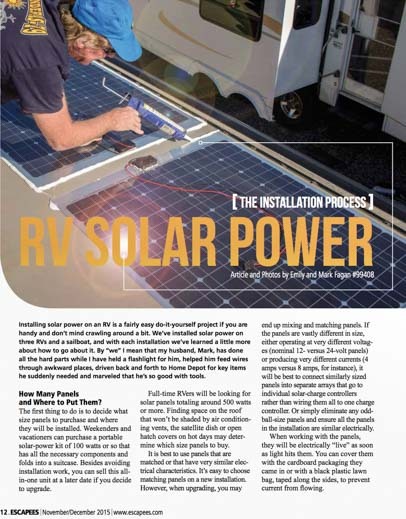 Thank you for these RV solar power installation tips. My husband and I just took our nice RV out camping the other weekend. We absolutely loved the experience, buy we also realized that we used a lot of energy to power our RV. We are very interested in installing solar panels on our RV. It’s good to know how many panels to buy and how to wire the panels on the roof to the batteries.